The SXL21=3 from Liberty Pumps is a Simplex Control Panel, 120/208/240V, 1-Phase, NEMA 1, 0-14.9A. This Liberty control panel was designed to provide a reliable means of controlling simplex pump systems in residential or commercial installations. The Liberty SXL21=3 is most commonly used in sump basins, effluent or sewage pump chambers and lift stations. The NEMA 1-high grade metal enclosure is made for indoor use. The Liberty SXL21=3 consists of a control panel and 3-pilot-duty float switches. The floats control the pump stop, start and high level alarm functions. Liberty Simplex Pump Control Panels boast a magnetic motor contactor to control the pump by switching hot electrical lines and a sized to application circuit breaker to provide overload protection. The Liberty SXL21-3 utilizes horn and red light indicator, designed to be activated when an alarm condition occurs. HOA (hand-off-automatic) Switch offers either hand, off or automatic operations. In the hand mode, the pump will not turn on unless other safety features are employed. In the automatic mode, the pump will turn on from commands by the float switches. 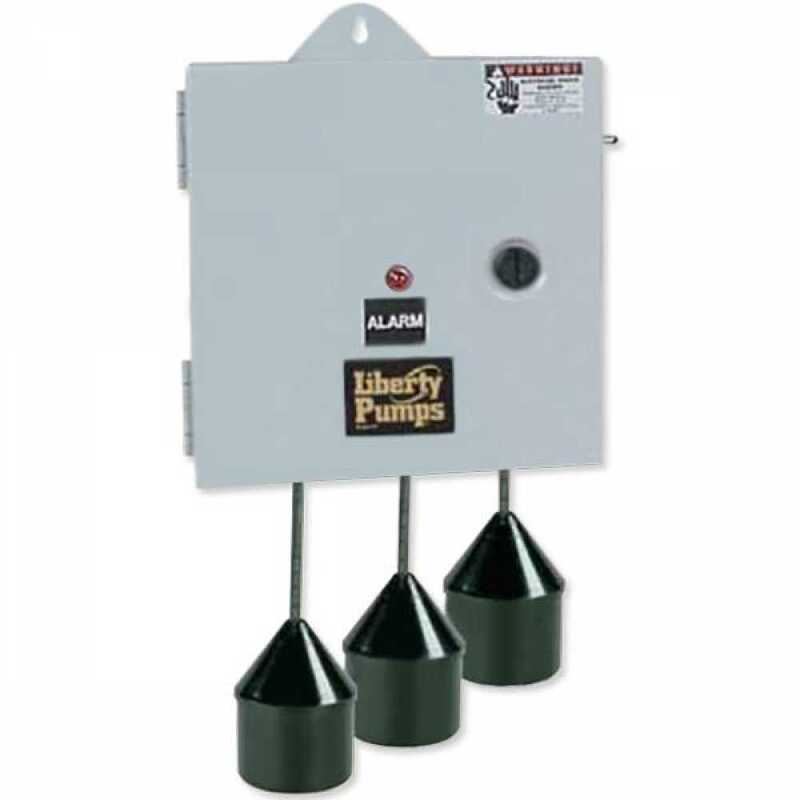 The Liberty SXL21=3 Pump Control Panel features pump input power and pump connection terminal block, ground lug, auxiliary contacts. Available with many other options and must be ordered with the proper amp rating matching that of the pump.